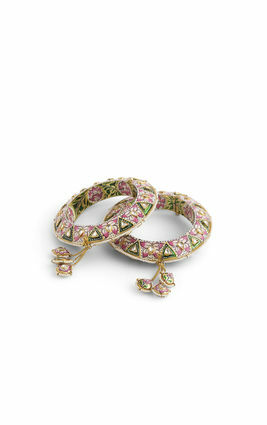 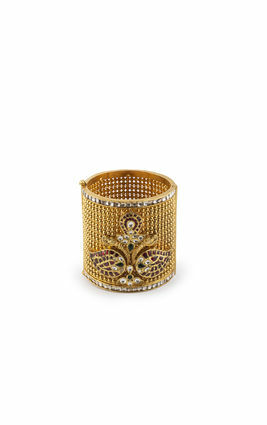 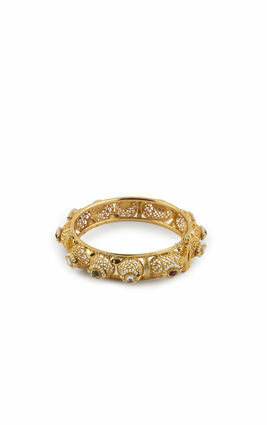 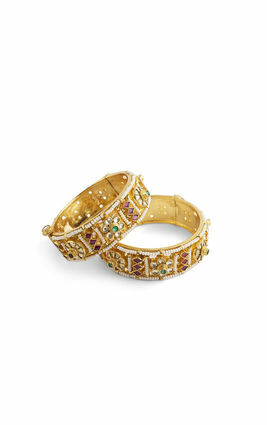 Deep green flowers and luminescent white accents give these gold-polished Kundan bangles a traditional southern vibe. 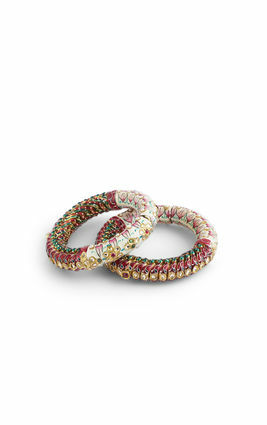 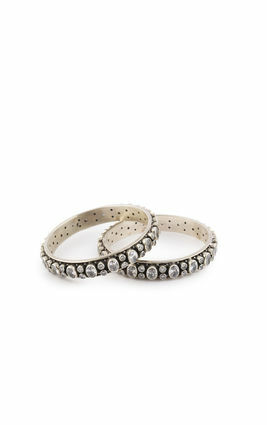 Tiny white pearls and maroon takkars add to the old world charm. 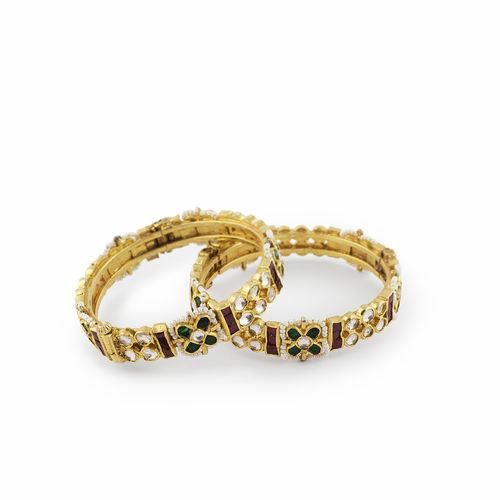 Deep green flowers and luminescent white accents give these gold-polished Kundan bangles a traditional southern vibe. 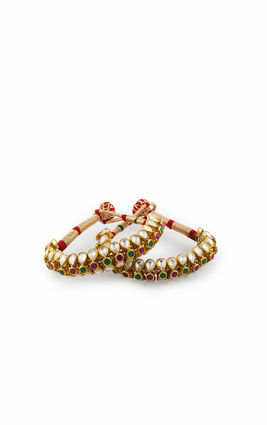 Tiny white pearls and maroon takkars add to the old world charm.